Grammar-Roll A Sentence includes 10 board games (plus a black and white copy of each one) and a blank board for students to fill in their own words. This fun game has students writing complete sentences while reviewing grammar and math skills. Click here to read more about Grammar Roll a Sentence and pick up a Free board game to try it out. Students roll 2 dice and add for a sum. They find the word in each column until students collect a word from each column. Students use the 5 words they collected and write a complete sentence. Sentences sometime turn out to be fun and silly. Grammar Hop is a fun game to review nouns, pronouns, verbs, adjectives, and adverbs. Students take turns reading the sentences and answering which word is the noun or which word is the verb. There 40 cards that can be used for a center or as a 2-player game. 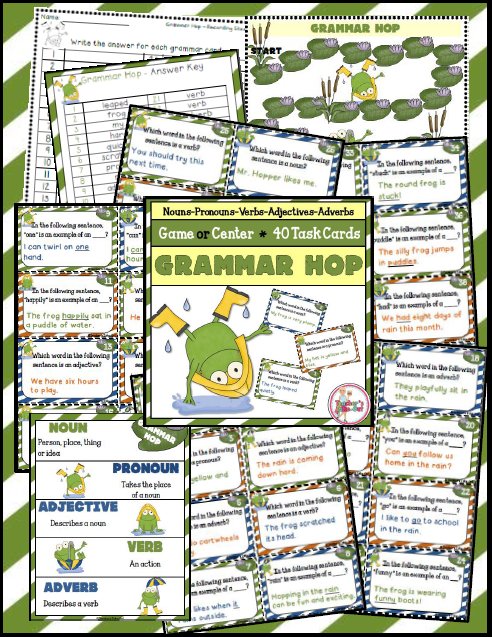 Grammar Hop can be purchased here at Teacher's Take-Out at a discounted price! 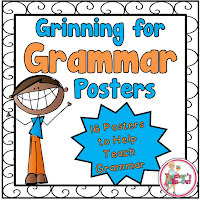 Grammar Posters include 13 posters to hang in your classroom to remind students the meaning of each grammar word. The words include: adjectives, nouns, verbs, plurals, adverbs, pronouns, subject, predicate, proper noun, conjunction, capitalize, preposition, contractions, and possessives. Grammar Posters are on sale here at Teacher's Take-Out. 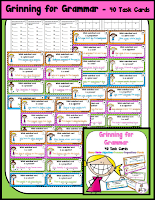 Grinning For Grammar Task Cards is a fun little center that will have your students grinning from ear to ear. It has 40 Task Cards. Students read the sentence and pick out the correct grammar word. 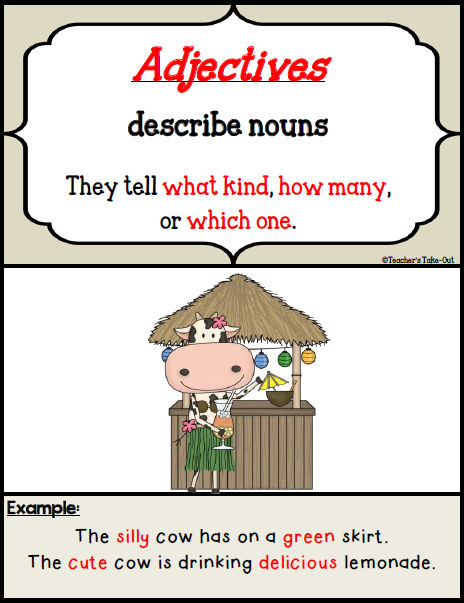 This pack uses the grammar words: noun, verb, adjective, preposition, plural noun, adverb, and pronoun. 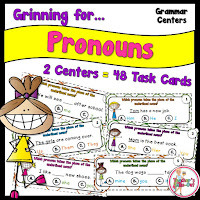 Grinning for Prefixes and Suffixes are loaded with task cards to help your students learn words. You can also find both bundled together. 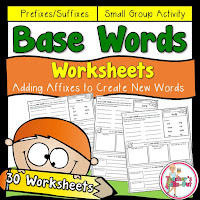 I have created a set of worksheets that have the 30 base words. Each worksheet displays a base word and the affixes that can be added to the word to make new words. The worksheets extend to separating the new words according to the spelling rule or by segmenting the new words apart by prefix, base word, and suffix. The worksheets also have students writing the definition of the new word or they write a sentence that displays the meaning on the new word. Use these worksheets for homework or to check understanding as an assessment. This pack has 50 task cards that display a base word with a prefix and suffix attached to it. Students identify the base word. 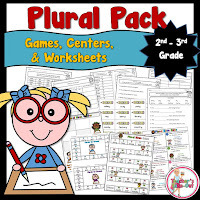 Plural Pack has 7 Centers to learn and practice recognizing those plurals and spelling rules. 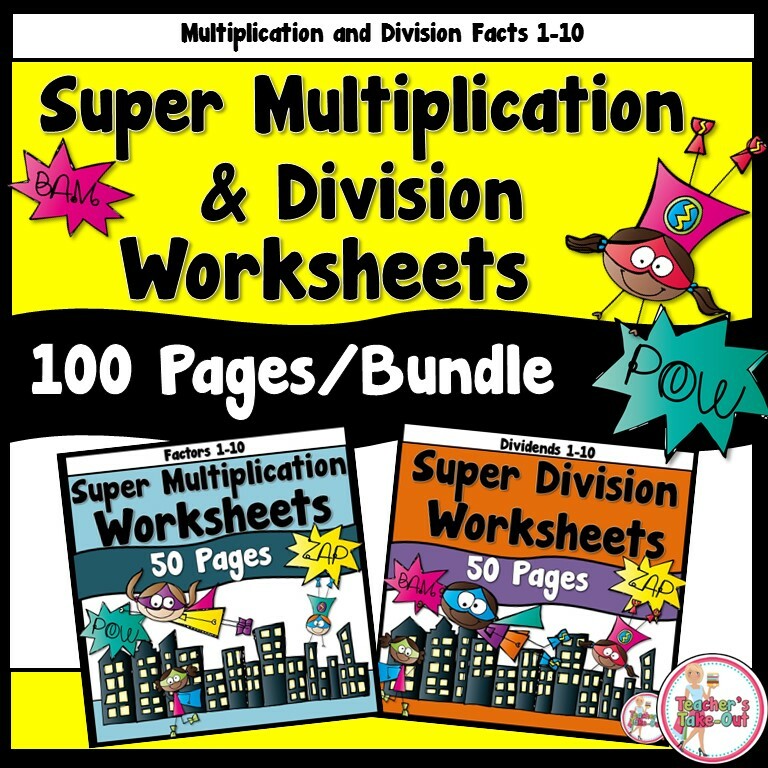 Plus 10 worksheets to use for classwork or send home for homework. This pack also comes with a freebie. 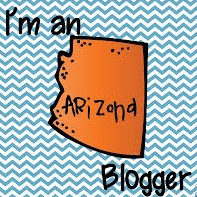 Click here to grab a freebie from this pack. Do your students need help spelling the correct there, their, or they're? 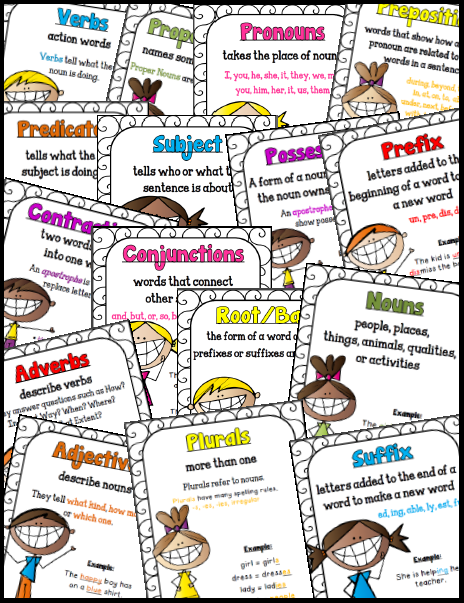 This pack is loaded with ideas to get students thinking and learning these tricky homophones. 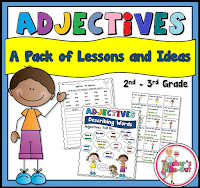 This Adjective pack has some fun ideas to get your students learning about adjectives. 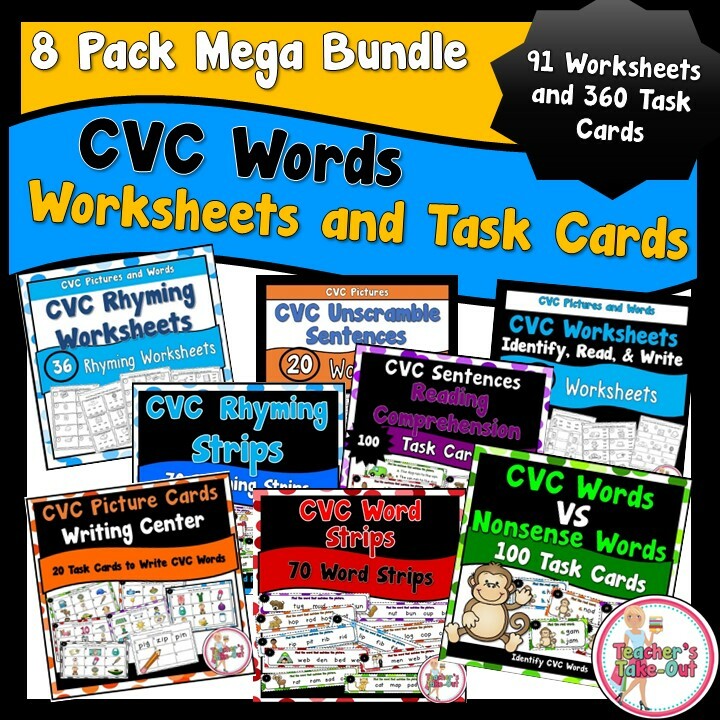 It includes centers, games, lessons, and worksheets. Contraction Task Cards includes 3 Centers. 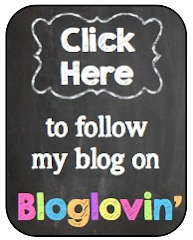 These are great for recognizing and reading contractions. Students will be able to spell them and read them correctly. Don't Be Bugged By Plurals and Possessives anymore. This little pack has students distinguishing between plurals and possessive nouns. 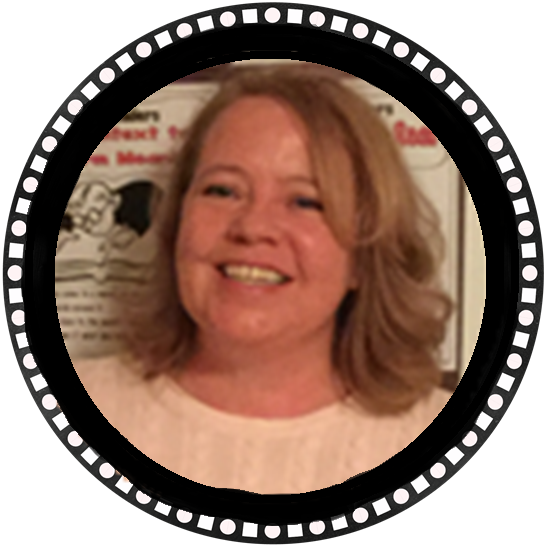 Need some new and fun ways to practice spelling words? 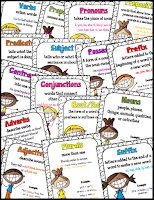 This pack has 40 ideas to use with any spelling list. Fun ideas to get students to practice their weekly spelling words. 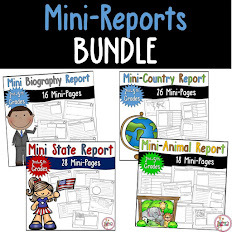 This pack can be used by 2nd-5th graders. 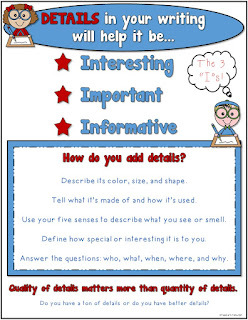 Use for centers or send home for homework. Teacher's Take-Out are located in one place.